A circulated coin graded AU-58 will show the barest trace of wear that may be seen on one or more of the high points of the design. No major detracting contact marks will be present and the coin will have attractive eye appeal and nearly full luster, often with the appearance of a higher grade. AU-58 is very close to a Mint State coin. You will notice a majority of the mint luster is still present in the protected area of the coins. On copper and silver coins, it still may retain some of its original mint color. For coins to be considered Mint State there must be no evidence of friction or wear on the coin. This is what usually pushes a coin out of the Mint State uncirculated grades and into the About Uncirculated category. It is possible for a coin to have a large amount of contact marks or bag marks and no evidence of wear. This can make for an ugly but uncirculated Mint State coin. A knowledgeable coin collector will look for good-looking AU-58 coins that are more attractive and have better eye appeal than low-end Mint State (MS-60 to MS-62) coins. This will give you the ability to add a good-looking coin to your collection at a fraction of the price of a Mint State coin. AU stands for About Uncirculated. it does not stand for Almost Uncirculated. 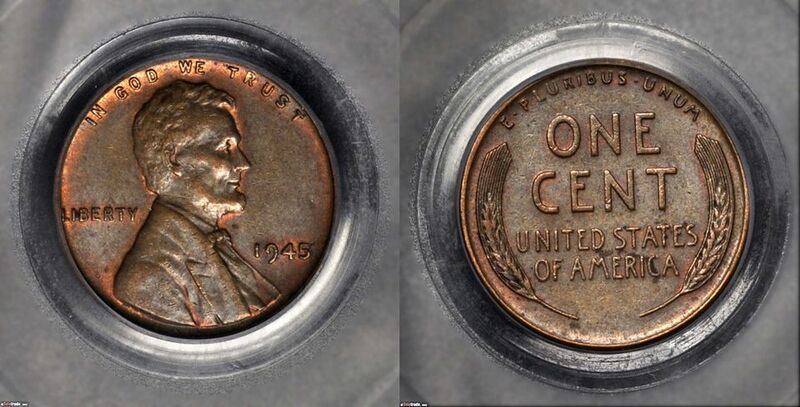 You must look carefully at a coin graded AU-58 to spot the wear on the coin.